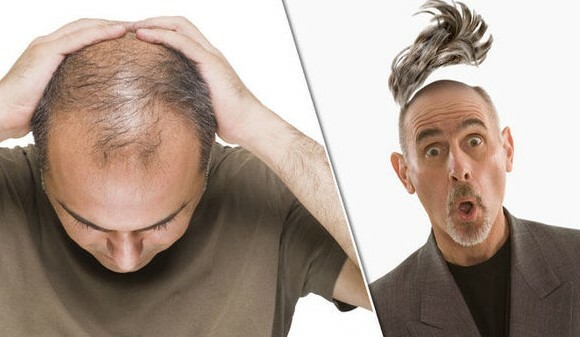 How Men Overcome Baldness Permanently - The presence or absence of genetic factors in the family, baldness can occur in men because of various factors, such as lifestyle. However, a hair transplant procedure can address a man's concern about balding hair that threatens appearance. This procedure can not only change the look of the hair but can drastically change the confidence and perceptions of others towards age and Your level of attraction, according to a new study of JAMA Facial Plastic Surgery. In a study published in JAMA Network Journals, researchers surveying the 122 participants (48 percent are men). All participants were shown photos of 13 men who have male pattern baldness, seven of whom have undergone hair transplant procedures while 6 others do not. Then, the participants are asked to assess (on a scale of 0 to 100) on each photo to measure age, attractiveness, success, and likely to approached. As a result, people who undergo hair transplantation rated younger, attractive, successful, and easily approachable, all of which can affect the social status and the development of your career, said the researchers. Men who cope with male pattern baldness with hair transplants are perceived 3.5 years younger, more attractive, more likely to succeed in their career, and it's easier to approachable in the social environment, the findings said. Hair transplant was done in the U.S. Since 1950, but the techniques are getting better lately. During the procedure which lasted about 4-8 hours, surgeons would remove the scalp that have active and implanting hair growth on the scalp area experiencing thinning or baldness. To see the growth of hair, it takes about 3 to 9 months after the surgery. The procedure could be repeated if the guy wants to get thicker hair. However, this procedure also have side effects that need to be minimised through consultation with surgeons. However, you do not have to undergo hair transplantation to be confident. Utilize products hair thinning can be the first way to maintain the health and fertility of the hair.